Conclusion: will this research be a 5 year mission? This series is only the first step in our Anthropology in Outerspace project. Indeed, when we started writing it, we asked ourselves: ”what are the representations of anthropologists and anthropology in science-fiction?”. And as is often the case with research, having explored this question, we are left with additional interrogations. In this conclusion to our series, we look back on what we have learned over the course of the last few weeks and discuss where are we headed next with our research. To do so, let us first introduce the new questions which arose from our conversation. Does anthropology enjoy the same amount of visibility in scifi as other sciences do? When looking for examples of anthropologists in our favorite scifi TV shows, movies or books, we found the results of our research were slim at best. While there are numerous examples of historians, physicists, engineers, medical doctors and military personnel in science-fiction, anthropologists are a rare occurrence. We also wonder if there are more or less representations of sociology than there are of anthropology in this genre. This perhaps begs more investigation: after all, while sociology is generally perceived as being distinct from anthropology in North American and British traditions, these disciplines are more commonly thought of as closely related in French tradition. Additionally, in several universities sociology and anthropology are grouped in the same department. Why do characters and scenarios often remind us of anthropology while the connection is not explicit? We found it interesting that several of the characters who reminded us of anthropologists were not described as such. Dr. Grace Augustine (Avatar) is one such character, and so is captain Jean-Luc Picard (Star Trek TNG). In some cases, the scenarios we analysed seemed to be inspired by the experiences of anthropologists in the field, while it was not always possible to verify is that was the case. Could the similarities between scifi scenarios and accounts of anthropological research be attributed to the close similarity between anthropology and science-fiction? Cultural anthropology, particularly, was founded on the study of otherness (that is of cultures other than Western). Science-fiction examines, among other things, how contact and communication might occur between humans and aliens, and how aliens might be different from humans. The relations between anthropology and science-fiction are examined in some fascinating anthropological studies, which we hope to introduce to TGA readers in coming months, and which will be discussed at the Strangers in Strange Lands: Mapping the Relationship between Anthropology and Science-Fiction conference which will be held at the University of Kent next November. Another interesting avenue of investigation is the investment of anthropologists in the study of ufology and extraterrestrial anthropology. Anthropologists are helping NASA reflect on ways to communicate with aliens, should humanity eventually make first contact with them (it seems the Star Trek: First Contact movie doesn’t offer a clear enough how-to guide). Anthropologist Ben Finney also worked with NASA to examine the interactions of astronauts in space capsules. We shall further investigate this collision of anthropology, space exploration and science-fiction in coming months, by looking, for instance, at anthropologists who are positioning themselves to be the first point of contact during extraterrestrial communication. 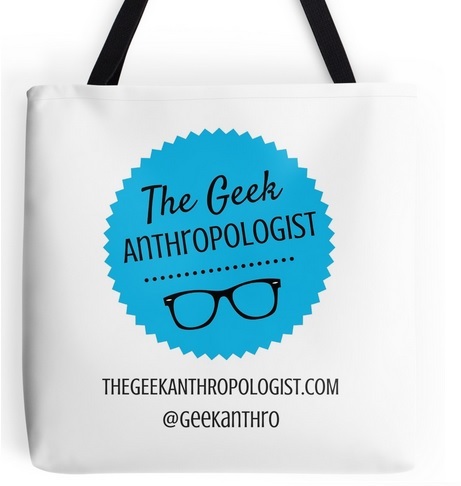 Why are the representations of anthropology and its practitioners so cliché? Interestingly, as Marie-Pierre indicates in her response to Emma’s Piece, it seems that science-fiction authors may be inspired by ancient events in the field of anthropology rather than by recent ones. This, as she expresses, ”begs the question: are science-fiction writers completely disconnected from current developments in our discipline ?”. Moreover, if that is the case, then why? Anthropologists enjoy less visibility, and perhaps express themselves publicly in a lesser measure than other scientists. How, then, could science-fiction writers rely on anything else than clichés about anthropology, unless they kept close tabs on anthropological publications or academic conferences? Where do these clichés come from? are most likely provided by anthropologists who are well-known in the United States of America. Franz Boas, Ruth Benedict, Margaret Mean and Alfred L. Kroeber are four well-known figures in the USA. We think that these anthropologists have profoundly influenced the collective imagination about anthropology and continue to do so regardless of new developments in this discipline. This series is the result of our first exploration of the representations of anthropology and anthropologists in science-fiction: it was written as a conversation and with the purpose of serving a stepping stone towards additional investigation. We have already listed some new questions we will examine in our work. Let us now discuss the limits of our current research and how we seek to improve it. We focused our attention on science-fiction TV series, movies, novels and short stories we were already familiar with. As a result, we analysed mainly works produced in English in the United States of America (and Canada in the Case of Stargate). We knew this was limiting, so in order to map relevant representations we could analyse to pursue our research, we asked TGA readers to provide suggestions on the Anthropology in Outerspace page. As a result, we now have a long list of works to read, watch or play through, in the case of video games. We invite you to contribute to the list! Dont’ be shy! We will also choose works written in different languages and by people from various areas of the world to expand our analysis. While we have examined representations of anthropology and anthropologists in science-fiction, we believe it equally necessary to pay attention to the representations of what they study: otherness, often presented as exotic, so-called primitive peoples. These peoples are often inspired, most obviously in the Stargate franchise, by indigenous peoples found on Earth, currently or in the past. While Marie-Pierre has discussed representations of indigenous peoples in science-fiction briefly in the past, more attention must be paid to this topic. After all, you may want to know how Klingons were in part inspired by Native Americans, and how such representations impact the latter. Equally interesting is looking at science-fiction written in different languages and by people from various areas of the world to expand our analysis, particularly by non-Westerners. The representation of anthropology would indeed vary if we were to examine scifi written by Native Americans (USA) and Inuit, Métis and First Nations peoples (Canada). In other words, we have our work cut out for us. This project will take a while! Great: it’s one more reason to keep watching and reading scifi! We are grateful to James Moar who proof-read this series and provided corrections. Finally, we wish to thank all our readers who provided feedback on this series! Your participation was very helpful! Thanks for sharing this with us! We’ll have a look!